Excellent stallion if you know the codes. He goes everywhere during strolls. Very attentive to the human. Answers very well to voice. Very focused on work during a ride and on flat grounds. Flock nightlight and guide, dominant temperament with young people, though not the leader. 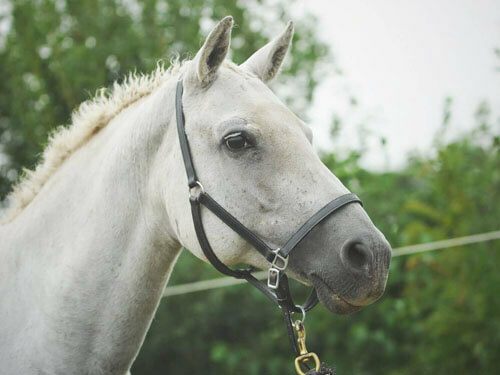 Ideal to lead other horses out. Very attentive to the slightest human behavior. 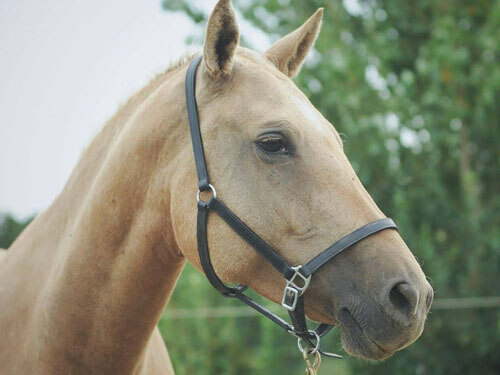 Excellent mount for beginner, independent she choses humans and horses with whom she would like to get along. 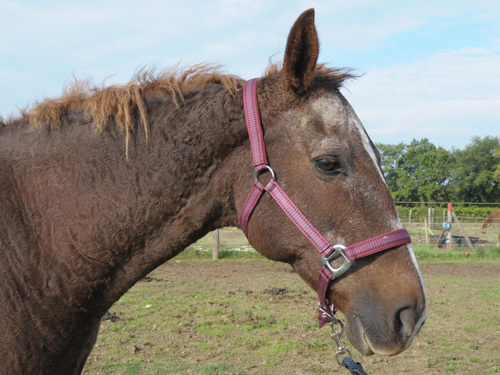 Independent mare but focused on work. Is able to perform a lot of work given the right conditions. Her very old bloodline has Indian blood, comes from the Canadian "Standing Rock" reserve , Sakura has undeniable charisma and a very sweet temperament. 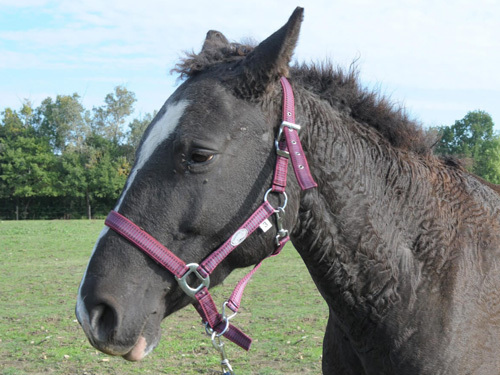 Works well under western saddle and classic step and trotting. 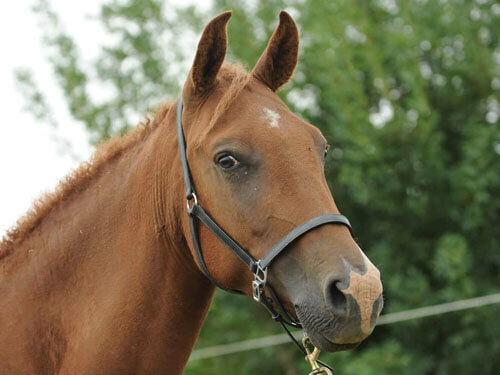 Independent and excellent broodmare, good companion for a dominant mare. The Curly breed origins are still enigmatic. 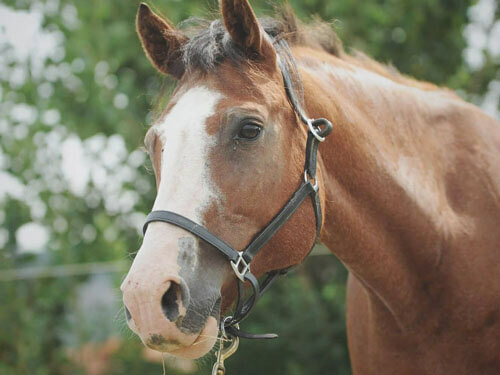 The oldest evidence of Curly's presence dates back to 1801, when the Sioux stole Curly horses to the Crow! 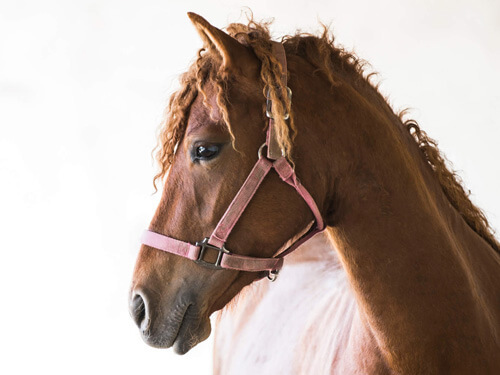 The history of the Curly breed as it is currently known is thus relatively recent, this being mainly due to the fact that before the 1970s Curly horses were too rare to justify a register. It is now international associations which are the main references as far as the register is concerned. 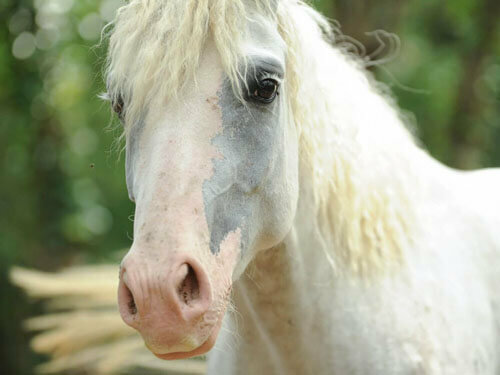 First, the American Bashkir Curly Horse Registry (ABCR) and currently the International Curly Horse Organization (ICHO). 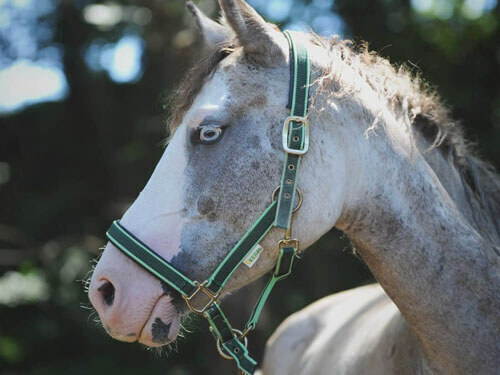 Other horses may be curled, around the world, but one of the peculiarities of the Curly breed and which has made its reputation largely is its hypoallergenic properties. However, some time has been necessary before having a scientific proof. Despite INRA, in France, looking into the matter without success (the institute however tended to show that the hypoallergenic character of the breed was plausible), it is Dr. Wolfgang Mitlehner who, after much work on the subject eventually proved that the Curly breed was indeed a carrier of this characteristic. In addition, this study conducted over several years proves irrefutably that keeping company with Curly desensitizes people to allergies. 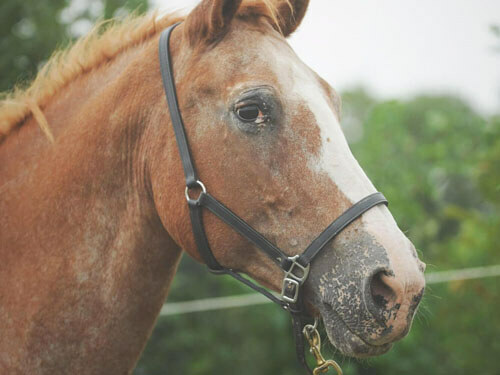 Thus, a person who is highly allergic to horses has a decrease in allergy over months of Curly company, often allowing them to use non-Curly horses or being in close contact with non-Curly horses. Apart from the study of Dr. Mitlehner, many testimonials illustrate this amazing faculty which has been verified each time. 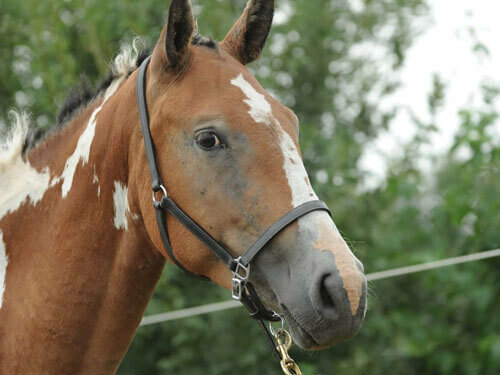 The North American Curly Horse Registry was the first studbook in charge of registering horses of the breed, with pre-established criteria. 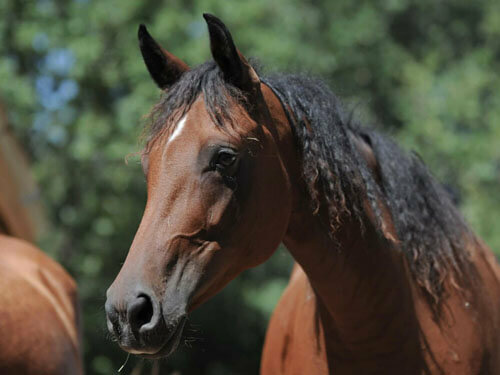 It is now ICHO which records, in the USA, the births of the descendants of horses already registered. 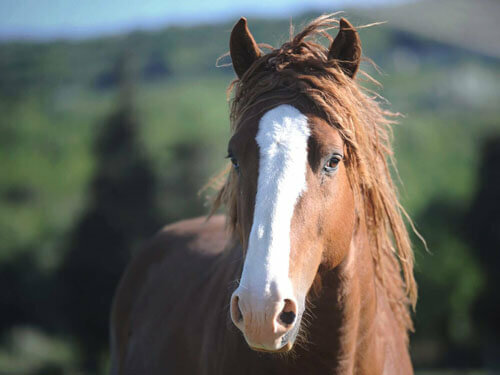 ICHO is recognized by French national stud-farms, who issue Curly papers for colts born in France and registered at ICHO or for Curly imported from North America.